Creation of a sample for metallographic examination. 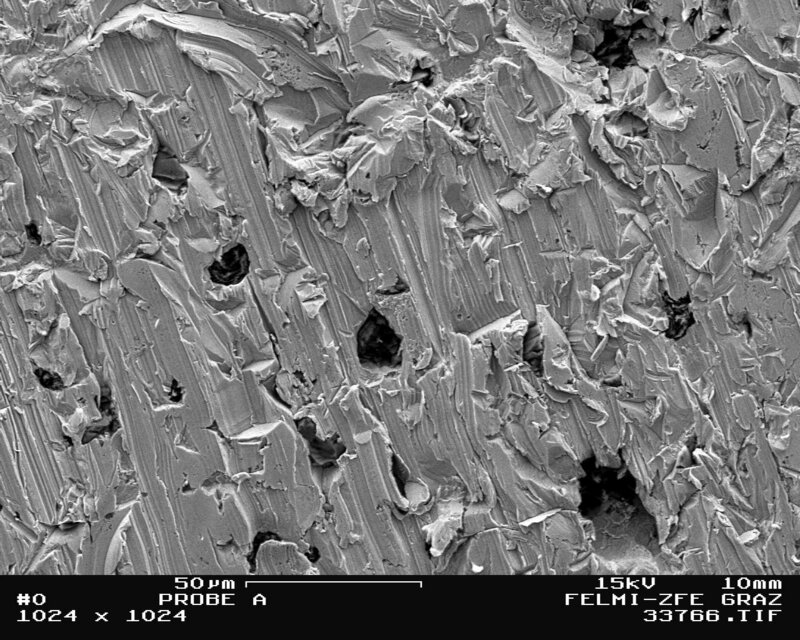 Knowledge of the structural formation of all casting materials, in particular if defects are to be investigated, is essential in order to evaluate the material. 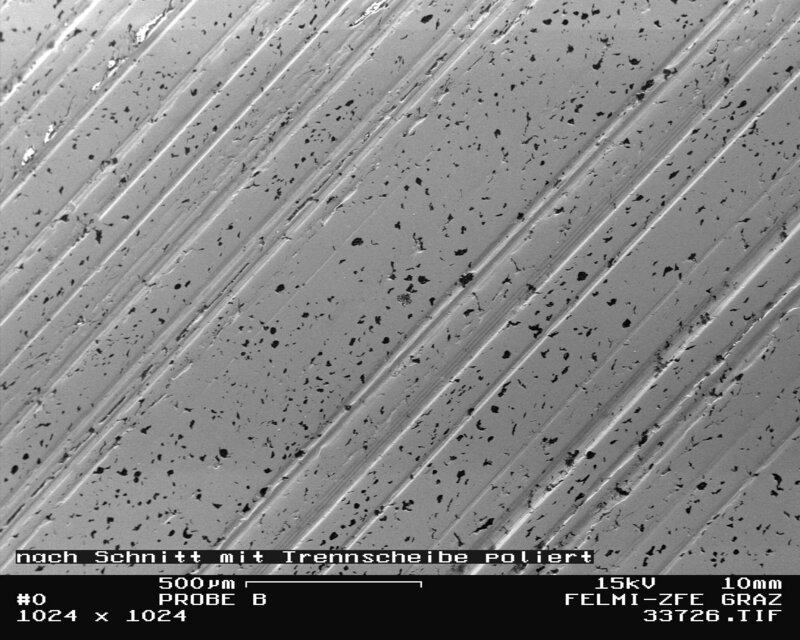 Mainly macroscopic but also microscopic structure investigations are absolutely necessary in order to analyze errors and failures. 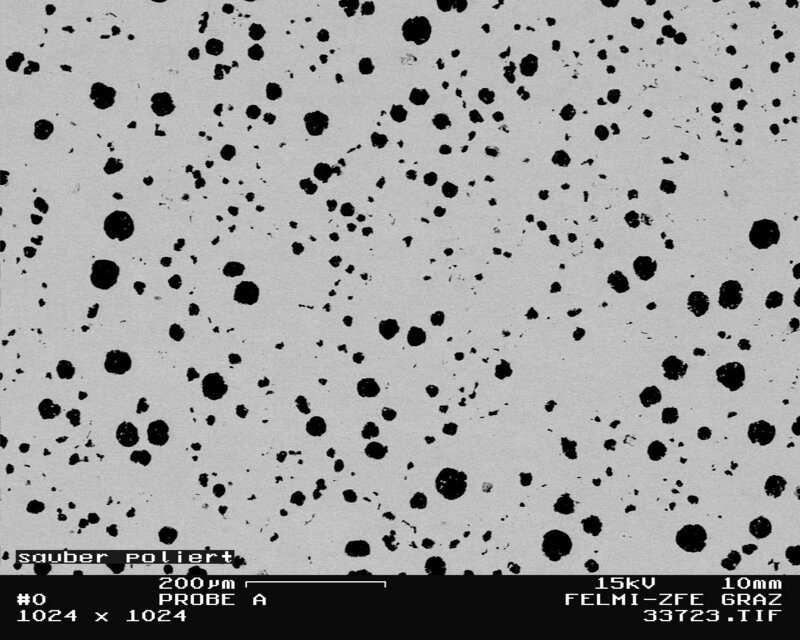 Recently, investigations using scanning electron microscopes (in conjunction with microprobe investigations) have been being used more and more frequently because they allow the causes to be interpreted clearly and more accurately. An exact interpretation of the metallographic specimen requires a maximum edge sharpness of the structure which is to be analyzed (Figure 1). However, this is only possible with mounted metallographic specimens, in particular specimens mounted hot using minerally setting materials. The first stage of metallographic specimen preparation is therefore the mounting. However, the specimen must first be deburred carefully and freed from impurities caused during preparation as these can leave traces behind during grinding and polishing which make interpretation more difficult. To meet the requirements for a metallographic specimen, the surface of the specimen must be subjected to fine step-by-step processing. Grinding removes damage and deformed surface material while further changing the shape as little as possible. A flat surface should be achieved; the remaining deformities can be removed quickly by polishing. Non-ferrous metals and their alloys must not be ground dry. Grinding is done wet and is carried out in sequence with sandpaper with the grits 240, 320, 400 and 600 (Mg and Mg alloys 400, 600, 1200 and 2400). After grinding, the specimen must be cleaned thoroughly with water and rinsed with alcohol. The drying is usually carried out with hot air. Porous specimens should be cleaned for several minutes in an ultrasonic bath to avoid any impurities stuck in the pores and grinding residues getting onto the polishing cloth. Specimens for which the inclusions in the structure are to be investigated may not be cleaned in this way (risk of the inclusions being dissolved out). For cast iron alloys, the grinding should also be carried out carefully (Figure 2) as otherwise too much graphite is torn out of the structural metal matrix, resulting in an incorrect evaluation of the structure (Figure 3). The graphite inclusions must be light gray and sharply distinguished from the metallic matrix. Grinding is done wet here too. The subsequent polishing of the specimen removes deformities from earlier stages of the work and leads to a faultless specimen surface. Polishing is usually done in three stages (three different polishing cloths, polishing time per stage approx. 5 minutes) and, between each stage, the Etchant typical for the respective material is used to etch. Finished prepared specimens should be kept in the desiccator.